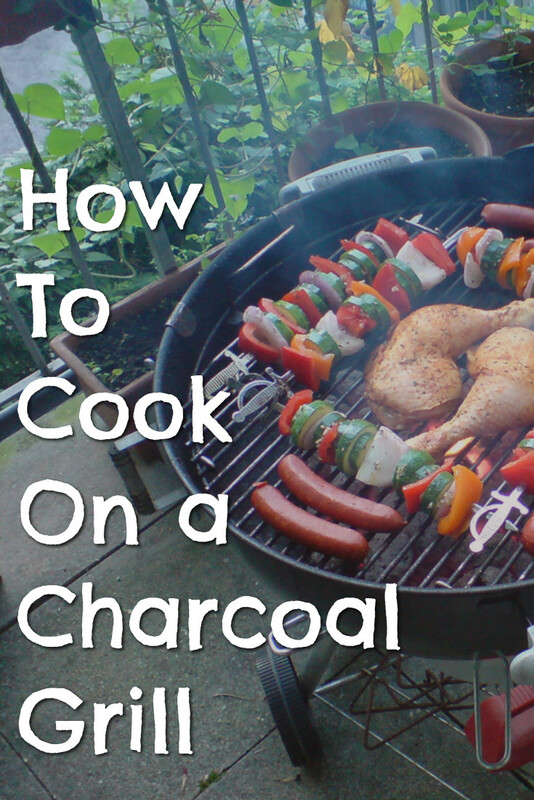 Let’s get your grill on with these beginner charcoal grill cooking tips! 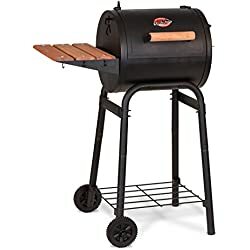 Below are step by step instructions and charcoal grilling techniques perfect for beginner charcoal grill users. If you’re wanting to learn how to cook on a charcoal grill, this is the PERFECT place to be. 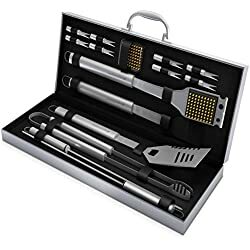 Reliable equipment, a good set of grilling tools, and an appropriate fire are the basic needs for successful grilling on a charcoal grill. 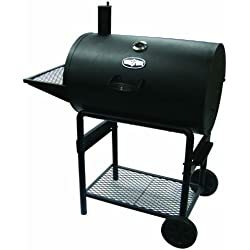 The tips and step-by-step instructions outlined below are suitable for gas or charcoal grills and include directions for both. If you have a gas or electric grill, follow the directions in your owner’s manual for lighting and preheating it. When building a charcoal fire, start with enough coals on the bottom grate to cover an area about 3 inches larger on all sides than the size of the food you plan to cook. Add a few more briquettes if the weather is humid or windy. Mound the briquettes or put them in a chimney starter and ignite them, leaving the grill’s lid off. After lighting the coals, leave them in a pile or in the starter until they’re glowing red (about 20 minutes), then spread them over the grate in a single layer. Let the coals burn for 5 to 10 minutes more or until they are covered with gray ash before putting the food on the grill. Instant-lighting briquettes, which ash over in about 20 minutes, are saturated with a petroleum product that lights easily with a match. 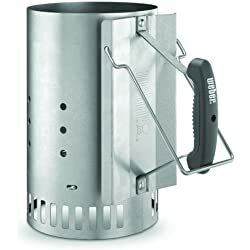 Besides electric starters and liquid lighter fluids, fire-starter gels and paraffin fire starters are both environmentally safe ways to make the job of starting a charcoal fire easier. Wait about 1 minute after adding a liquid, gel, or wax starter before igniting the briquettes. Never use gasoline or kerosene as a fire starter. Before arranging the coals, know whether you’re going to grill directly or indirectly. Any grill can be used for direct grilling, including braziers (the basic shallow firebox on legs) and hibachis. For indirect grilling, you need a grill that has a cover. 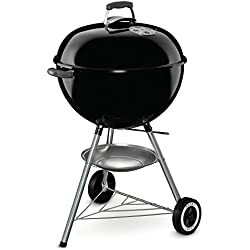 These grills can be either kettle- or wagon-shaped and have gas, electric, or charcoal heat sources. 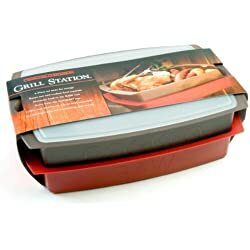 With direct grilling, the food goes on the grill rack directly over the heat. Direct grilling is best-suited to foods that are tender, small, or thin and can be cooked in less than 30 minutes, which include steaks, burgers, kabobs, hot dogs, boneless poultry, fish, and most vegetables. For a charcoal grill, use long-handled tongs to spread the hot coals evenly in a single layer. To set up a gas grill for direct grilling, preheat it, then adjust the gas flow settings to the desired heat level. Rake out the glowing coals evenly directly under the section of the grill rack where food will go. To test the temperature, count as directed on page 306. Indirect grilling means placing the food over an area on the grill with no direct heat source and the grill is covered during cooking. Indirect grilling is the choice for cooking whole birds, ribs, large roasts, and whole fish. To set up a charcoal grill for indirect cooking, use long-handled tongs to arrange the hot coals around a drip pan, which collects the fat drippings from the foods, minimizing flare-ups. 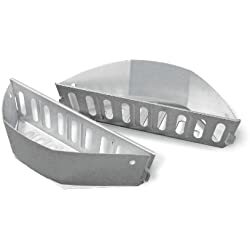 Use a disposable foil roasting pan or make one out of heavy-duty foil. Move the coals to accommodate a drip pan; rearrange the coals as needed. Continue reading to learn how to test the temperature. For indirect grilling on a gas grill, light the grill according to your owner’s manual. Turn the setting to high and let preheat for 10 to 15 minutes. If your grill has two burners, reduce the heat on one burner to desired temperature and turn the other burner off. With a three burner gas grill, turn the center burner off. Place food over the unlit burner. Adjust the gas flow to the burner that’s on to maintain the desired temperature. 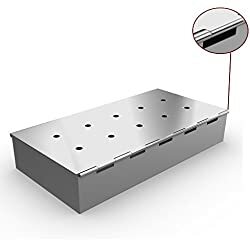 Most gas grills have a built-in drip pan under the fire box, so generally no drip pan is needed. We recommend placing whole birds and roasts on a rack in a roasting pan and placing the roasting pan directly on the grill over the unlit burner. Fat and meat juices dripping onto hot coals may cause sudden small blazes, called flare-ups, which can make your meat taste charred. To control flare-ups, just raise the grill rack, cover the grill, space the hot coals farther apart, or remove a few coals. As a last resort, remove the food from the grill and mist the fire with water from a spray bottle. When the flame subsides, return the food to the grill. To prevent flare-ups, after each use turn the grill setting to high for 10 to 15 minutes with the lid closed. Use a brass bristle brush to remove any baked-on food from the grill rack. This will also burn off some of the residue on the lava rock or ceramic briquettes. If the coals are too hot, raise the grill rack, spread the coals apart, close the air vents halfway, or remove some briquettes. For a gas or electric grill, adjust the burner to a lower setting. 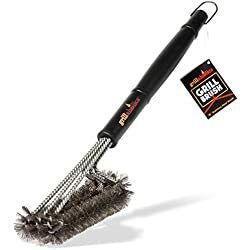 If the coals are too cool, use long-handled tongs to tap ashes off the burning coals, move the coals together, add briquettes, lower the rack, or open the vents. For a gas or electric grill, adjust the burner to a higher setting. Not everyone judges the temperature of coals exactly alike. 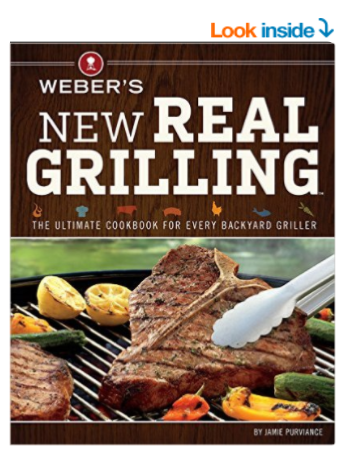 Therefore, the time ranges in grilling recipes are recommendations. For perfectly done food, use those timings as guides and watch all foods on the grill closely. One key to successful grilling is determining when the charcoal or gas grill has obtained the ideal cooking temperature. Hold your hand, palm side down, at cooking level over your charcoal grill and time how long you can comfortably keep it there. A hot fire allows a 2-second hand count. A medium-hot fire is considered a 3-second hand count. A medium fire equals a hand count of 4 seconds. And a low fire is considered a 5-second count. When grilling indirectly, hot coals will provide medium-hot heat and medium-hot coals will provide medium heat. 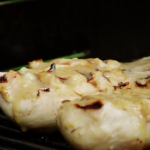 ✅ Here’s another EASY charcoal grill chicken recipe. Soak the grill rack of your charcoal grill in hot, sudsy water after every use to loosen cooked-on grime. If the rack is too large for your sink, let it stand for about 1 hour wrapped in wet paper towels or newspaper, then wipe it clean. If necessary, use a stiff brush to remove stubborn burned-on food. Above all – have FUN with it! Grab a cold one out of your YETI cooler, pour up some ice tea with a lot of ice cubes like Sonic has, or grab a chilled bottle of wine out of your wine refrigerator and get to grilling in your own backyard!